Kitchen and Residential Design: NEWSFLASH! Home Depot Expo is going going gone. Before the opening bell, Home Depot (HD:23.02, +1.30, +6.0%) said that Expo has "not performed well financially and is not expected to anytime soon. Even during the recent housing boom, it was not a strong business." And, it has "weakened significantly as the demand for big-ticket design and decor projects has declined in the current economic environment." Over the next two months, the company will close 34 Expo Design Center stores, five YardBIRDS stores, two Design Center stores and a bath remodeling business known as HD Bath, with seven locations. All told, that will result in the loss of about 5,000 jobs. "Streamlining" some support functions will cost another 2,000 positions for a total of about 2% of the company's workforce. This is a pretty big deal. I never felt particularly threatened by them, not did I think those stores stocked anything that couldn't be bought less expensively from a professional expert in design. But still, that's a lot of people thrown into the bread lines. Times is hard gang, times is hard indeed. From what I can glean from the early reports, it sounds like they might re-trench back to their early big box days. 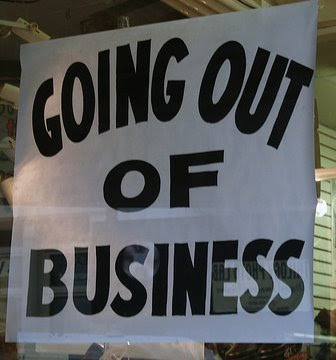 While I do feel sorry for those laid off, I'm thinking local smaller businesses will have a few more folks walking through their doors in the next couple of months. There was always a bit of a disconnect between the marketing/management direction and the correct hiring for that direction, especially in their kitchen and bath department; however, they got folks out thinking about remodeling, so it wasn't a bad thing. Part of me cheers every time I hear about a big box having trouble, but a bigger part of me isn't cheering this one. While I'd never been a fan of Expo, you're right, they did serve a purpose.